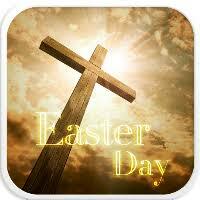 Hello : Wow just a few days until Easter Sunday, where is this year going so very fast. The weather is more beautiful everyday. Looking so forward to our Move up to Zephryhills Florida, We are going in a Gated Community, Our New Home sits by the Golf course. a beautiful view from our family room. Hoping to be there around the end of April or beginning of May. today I used my New House - Mouse Designs Stamp " Bunny Luv"
I used my Cupic sketch Pens to color my stamp. I used my MS hand Punch Butterfly. I put white card stock in side my card and some pink and white gingham ribbon and a butterfly. I hope you enjoy my card, I enjoyed using my Copic pens, easier then I thought. I have used them before but this time they were what I wanted. still have some mastering to do with them. I only own 56 of the Copic pens. and I add to them as I can. Thank you so much for stopping by for a visit to my blog, it is always a honor to have you stop by. I love reading each comment left. House -Mouse & Friends Monday challenge - anything goes. Happy Easter to you too Dottie, may you too be Blessed. This is one of the sweetest HM stamps. Your coloring is wonderful and so is the design of your card. And that bow is so very pretty. Thanks for sharing your card with us and joining the fun at the House Mouse and Friends Monday Challenge. Another sweet one Dottie! Congrats on your new home-you should be basking in the sun soon! I hope you will join our new April challenge!!! Hi Dottie congrats on your win @ House Mouse & Friends chall blog..plz hop over to the Winners/Top picks post (under the NEW chall post) for deets on how to claim your super sponsor prize.